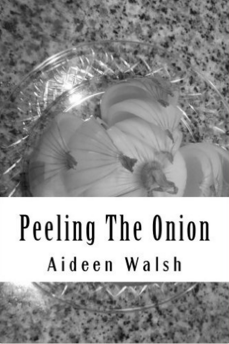 I wrote my book (Peeling the Onion) purely as a therapeutic exercise - in fact it was not intended to be a book, it was a series of essays, I was urged to publish it by so many people I did so to quiet them more than for any other reason. But a secondary reason was the thought that perhaps some people could benefit from reading about my experiences. Writing each chapter was sufficient for my purposes. I didn't realized that this was a recognized form of therapy until I decided to expand on it here, and doing some google searches informed me I was not the first to come up with this idea. It struck me how writing about the main discomforts experienced with the ladies' toilets in our new office had minimized considerably, if not eliminated, my issues with it. I now just accept the way it is. Then, more recently, expressing my annoyance on my Facebook status, at the tuneless whistling in the office seemed to reduce my irritation. I am guessing that is why most people take to their status to express joy, excitement, dread, irritation and sadness - it helps. It really does help just to write it down. "Over the past 20 years, a growing body of literature has demonstrated the beneficial effects that writing about traumatic or stressful events has on physical and emotional health." As I mentioned, there is a lot of information to be found on the Internet regarding the benefits of writing, in particular in keeping a journal. Many of the articles I found recommend keeping your writing secret, for me, it really didn't matter if it was never read again, or read by the entire world. 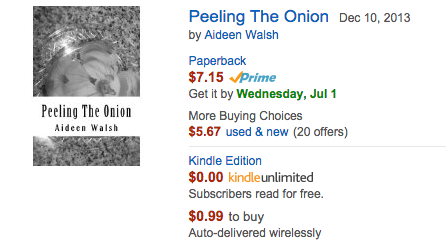 Just putting it on paper (or the electronic equivalent) helped. I suppose what helped me most about it was that in order to write, I had to organize my thoughts, then examine and reexamine them, then face and accept my reactions, and in doing so, let go of a whole lot of emotional garbage surrounding the memories. Frequently allowing suppressed memories to surface resulting in an emotional purgative. Somehow, putting it all into words, while in no way invalidating my feelings, started the healing process. I was able to let go of the resentment, and accept the injustice. The benefits were immediate and ongoing. The most substantial effect at play is perhaps the cognitive process of taking apart our experience and configuring it for the telling. As leading theorist in writing therapy James Pennebaker explains, “The development of a coherent narrative helps to reorganize and structure traumatic memories, resulting in more adaptive internal schemas.” The result? Having given language to traumatic experiences, we’ve in a sense contained their potency. The chronic stress they’ve induced – and the corresponding physiological impact like weakened immune function, systemic inflammation, hormonal imbalance, and impaired cardiovascular function – diminishes. Over the past few decades the therapeutic power of writing has been discovered. Old people are encouraged first to learn to write but then to tell their story. The task can require serious, introspection: an attempt to make sense of the past. To examine it from various angles rather than simple to try to shift blame onto others. And finally, the good old wiki page. What's for Dinner Mum? 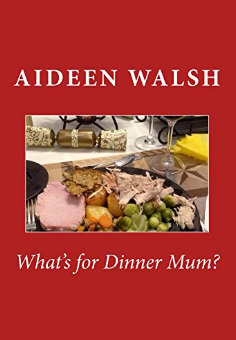 A Cook Book, currently available for Kindle and in Paperback.